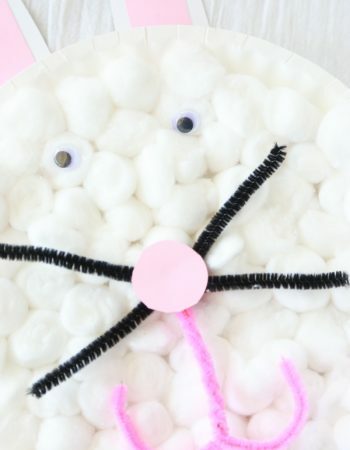 Surprise your children with a fruity snack and this I’m Lucky to be Your Mom Snack Bag Topper. It’s a great way to show your children how lucky you are to be their mom. 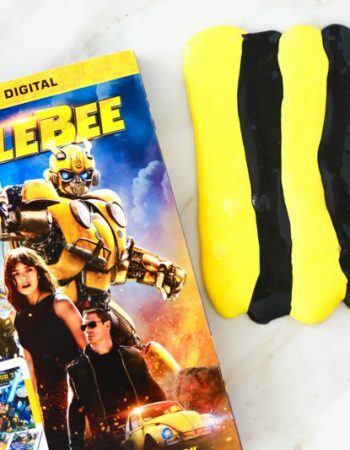 I know the way to my kids’ heart and that’s definitely through food. They love all food, but they especially love sweets. 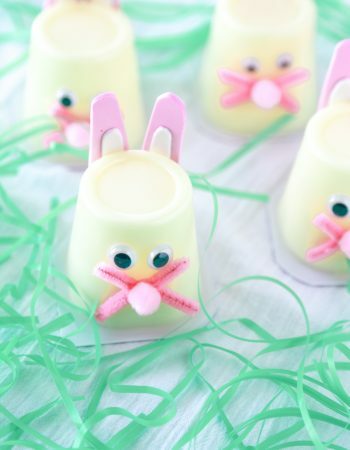 If they get surprised with something that satisfies their sweet tooth, they know it’s going to be a good day. When I heard that General Mills was coming out with a new Fruity Lucky Charms cereal, I thought the fruity cereal would make a perfect ingredient for a snack for my children. 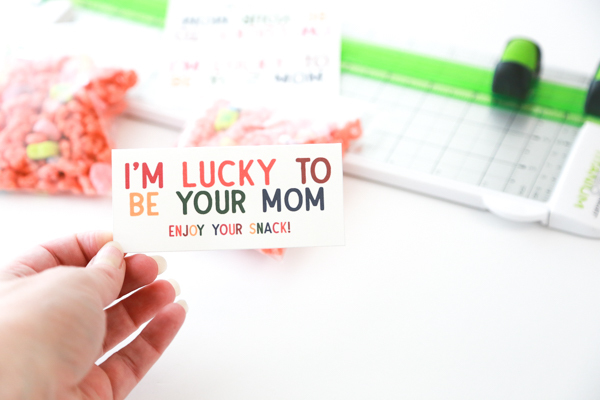 I created this I’m Lucky to be Your Mom snack bag topper and I love the way it turned out – it’s so bright and colorful. If your children are anything like mine, they love seeing new cereal options lining the store shelves. You can find the new Fruity Lucky Charms, as well as the new Chocolate Cinnamon Toast Crunch and Churro Cinnamon Toast Crunch at Walmart or Walmart.com. All of these new cereal options are a welcome change after all the holiday chaos, don’t you think? Now is the perfect time to introduce these three new breakfast options to your family. I don’t know if it’s just this new generation of children or what, but my kids love cereal with or without milk, y’all. I was never that kid – I always ate my cereal with a huge bowl of milk. But my kids like to eat cereal straight out of the box as an afternoon snack. And when it’s Lucky Charms they’re digging into, the marshmallows always get saved for last – because they’re the favorite. The messaging on the bag topper is the same on the front and back. It looks the same no matter what side you’re looking from. The printable is also gender neutral so it’s perfect for everyone in the family. 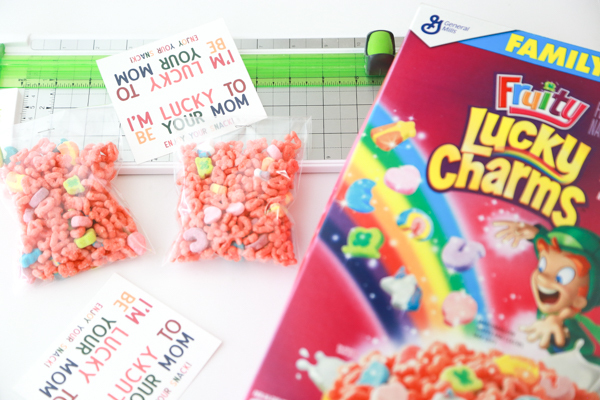 I used the 4″ x 6″ Wilton treat bags and put a serving (3/4 cup) of Fruity Lucky Charms in each bag. The bags are pretty economical, too. You can get 100 of them for about $5.00. Each bag is the perfect one bowl serving size. 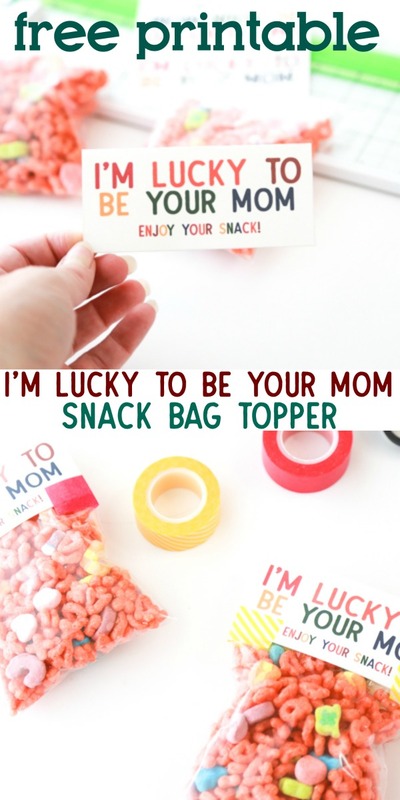 Print as many of the free I’m Lucky to be Your Mom snack bag toppers as you’ll need. I like using white cardstock since it holds up better, but if you don’t have any regular printer paper should work. There are two bag toppers per page so only print half as many pages as you’ll need. 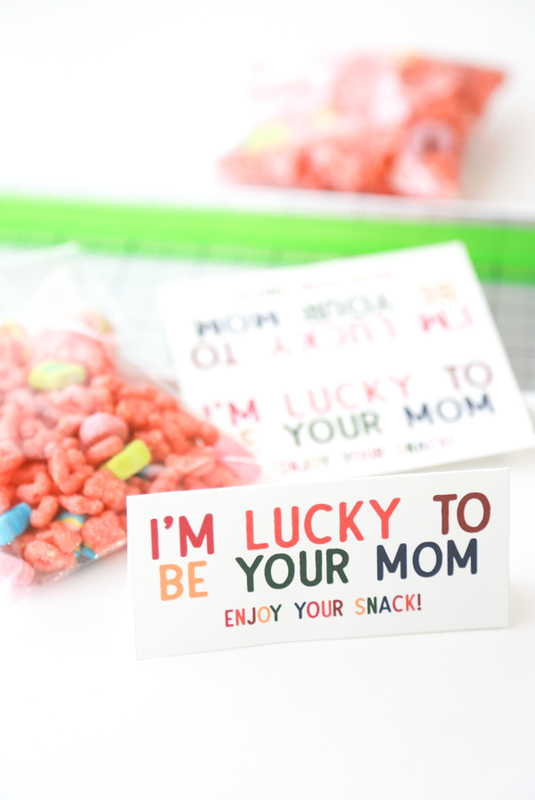 Cut the I’m Lucky to be Your Mom snack bag toppers with scissors or a paper cutter. I prefer the paper cutter way since it’s much faster. Plus it gives me a straighter cut than I can do with just a pair of scissors. 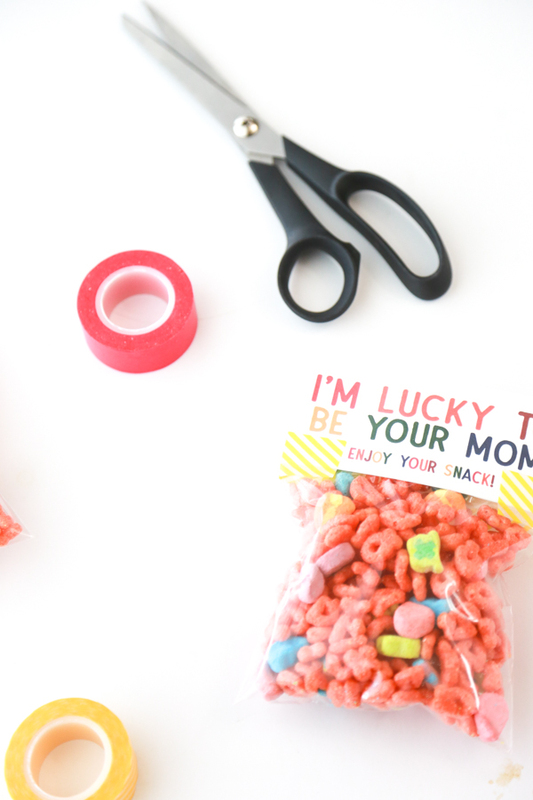 Pour 3/4 cup of Fruity Lucky Charms into each of the treat bags. Fold over the top of the bag leaving room at the top to put the bag topper. Staple the bag shut. Note: If your children are younger and might accidentally swallow the staple after opening the bag, please use tape to seal the bag shut. To adhere the bag topper to the bag you have two easy options. The first option is to use Glue Dots on each of the 4 inside corners of the bag topper. 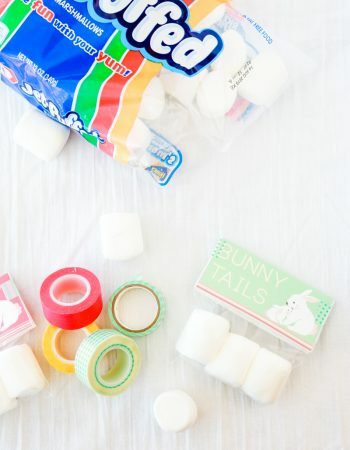 The second option is to use washi tape to seal the edges. 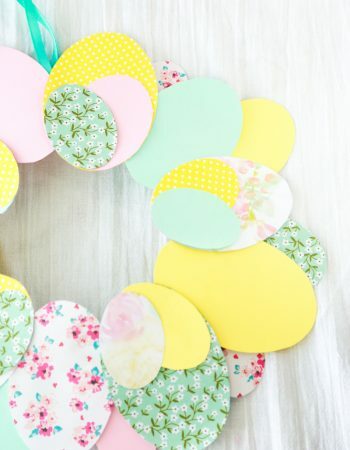 I personally love both ways although I think I love the washi tape way a little more. 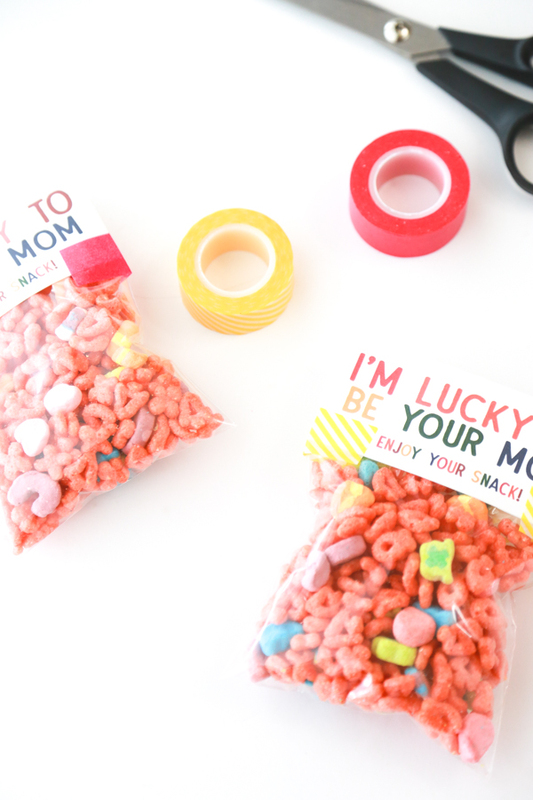 Save these I’m Lucky to be Your Mom Snack Bag Toppers to one of your Pinterest boards so that you’ll have them when you need them.